So this Thursday the 25th of February it is my birthday. I thought I would share something a little fun with you. 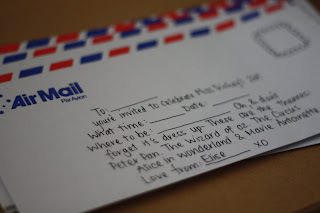 I am having a birthday party and these are what my invites look like..and seeing it is my 21st, I thought why not do everything I always wanted to do, why have 1 theme when you can have 5! ha ha. In case you don't have a magnified glass and cant read the invites these are the themes. Now that's a costume party I'd like to see!! !